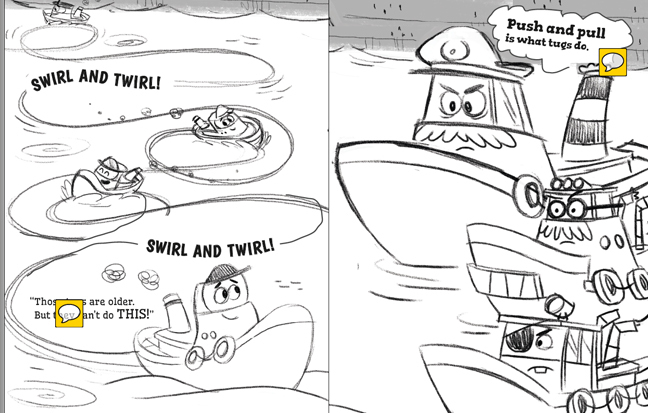 When first approached about doing a tugboat book I have to admit I was intimidated, mainly because the entire story takes place on the water. In this story, the water is not only a location but also a character. I'm so glad I rose to this challenge. I am very pleased with how this book has turned out. Below are images from my sketchbook showing character development but also thumbnails as I was working with the manuscript and interpreting it into visuals. 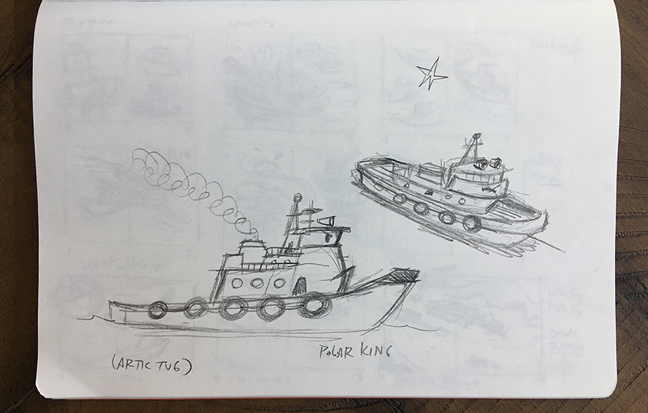 My initial sketches of Tough Tug and Artic Tug where stiff. 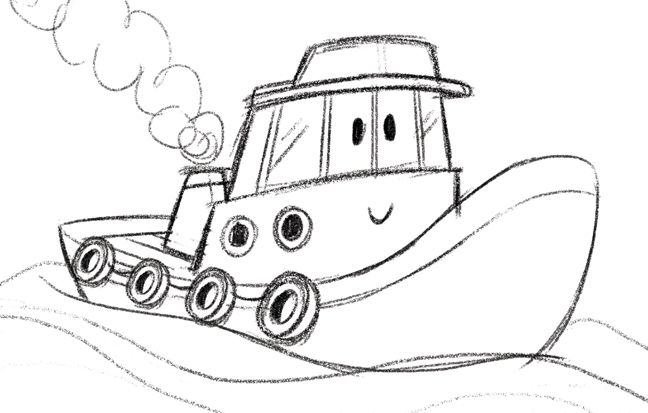 I wanted to pull out the personality of each boat as well as make the characters full of life and as anthropomorphic as you can make tugboats appear. 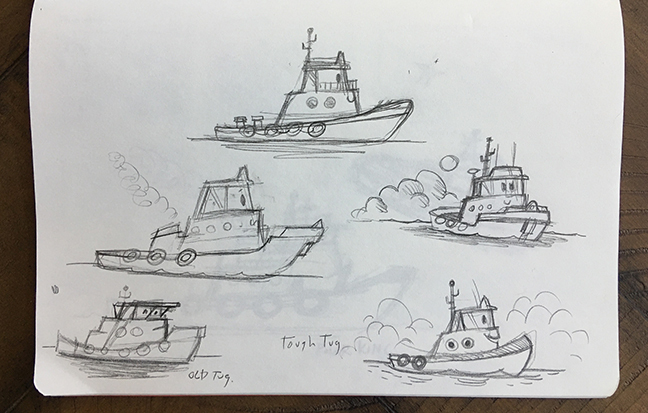 As I refined the sketches, I felt I was getting closer, but wanted each boat to show emotion and movement throughout the story with more than just an expression but with its entire body. This was my initial color image. I created it while working on thumbnails. 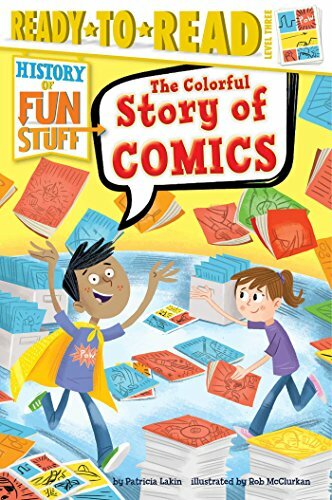 The image captured not only the personality and movement I was looking for, but I also dialed in most of the colors that were used throughout the book. 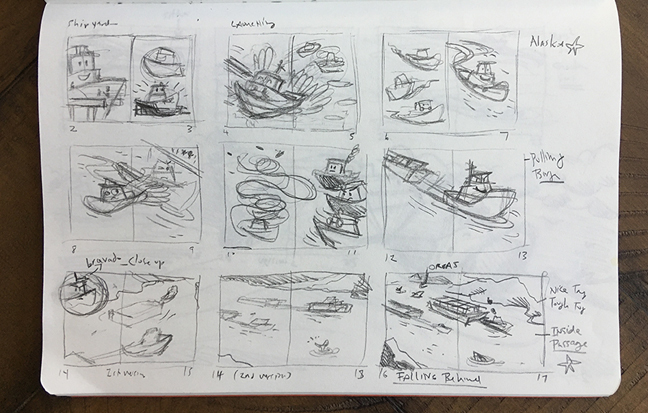 I used the thumbnails to work out the visuals of the story. If you look closely, some images remained the same while others I reworked several more times. The sketches also informed me as to things that I needed to research. Since the story was based on actual events, I needed to make sure places were represented as closely as possible. Once my tight sketches were approved I went to final art. This spread ended up being a favorite. 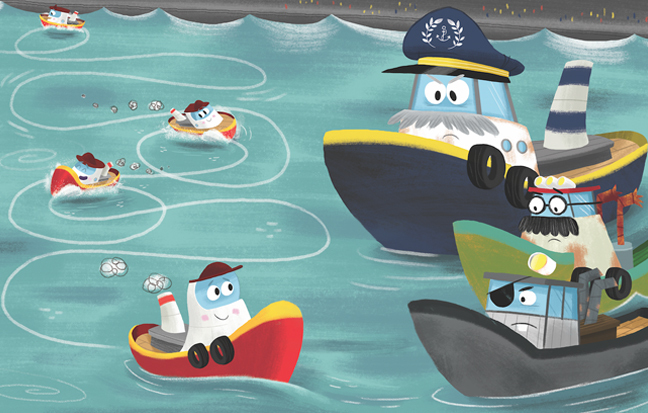 I can imagine children tracing Tough Tugs path as he swirls and twirls while the older boats look on disapprovingly. It makes for an entertaining page. This page is also a favorite. I love the drama created here by the raging sea and stormy sky, as well as the tiny but determined Tough Tug. I hoped you enjoyed this journey into creating Tough Tug. 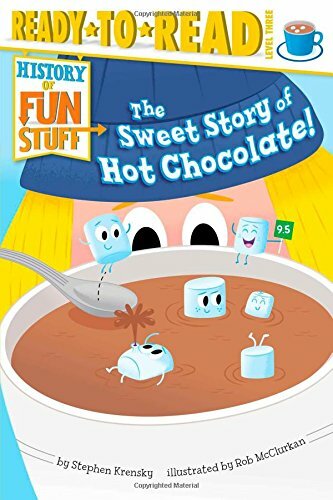 Gallons of sweet tea were consumed during the illustration portion of this book. 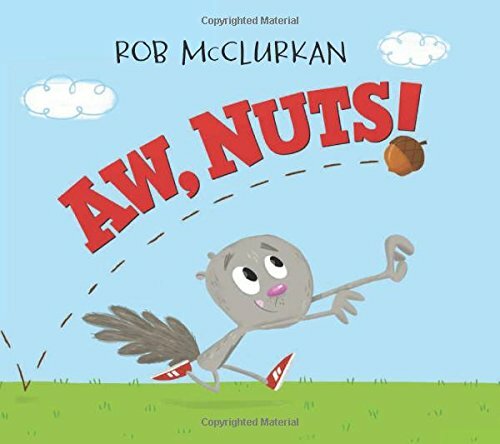 Many thanks to Margaret Read Macdonald for writing such a fun book, The Two Lions team that challenged me throughout this process and created an amazing book trailer (see below) and my agents at the Bright group. 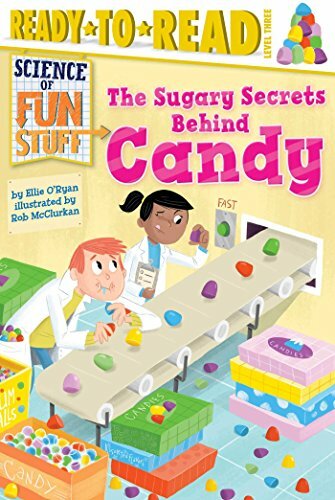 Working in children's publishing is a dream come true.